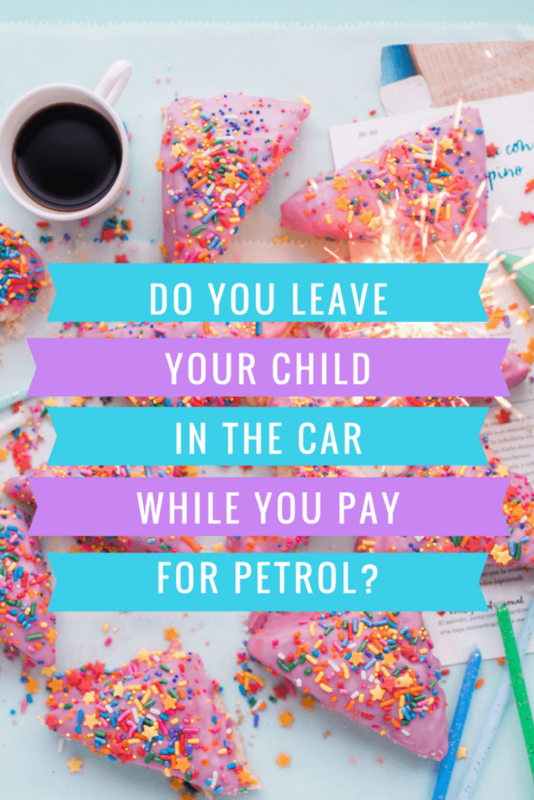 Do you leave your child in the car while you pay for petrol? I have noticed a few posts recently on various groups on facebook regarding leaving kids in the car when nipping in to a shop or on the garage forecourt when you go to pay for petrol. It seems to be sparking the same animosity as the breastfeeding/bottle feeding argument. The fact that parents have gone into these groups on facebook to ask advice on the situation suggests they do not want any harm coming to their children nor do they want to unnecessarily disturb a sleeping baby when they can see the car clearly from where they are nipping. Yet, instead of the advice they went for, they get embroiled with abuse from both sides of the argument. D asked me about a month ago if it was OK to leave Lucas in the car if he was asleep when he nipped into the shop. The shop he was talking about is a small shop where you can see the car clearly when inside, it is in an area we know very well and know the majority of people around. I told him I didn’t have an issue with it but said it is highly likely that other people would frown upon it. Whether Lucas is asleep or not, I take him with me if I have a few items to get or if I can’t see the car from where I am going. I always use the pay at pump facility at the petrol station. However, if I am literally running in the shop for a bottle of milk where I can see the car, know the area and Lucas is asleep, I don’t see the point of disturbing him. If it was a particularly hot or cold day I wouldn’t leave him in the car but for an average temperature for a couple of minutes if I know he isn’t likely to wake up, I would rather let him get his sleep. The above quotes where stated on GOV.UK on the 19/09/2015, last updated on 02/09/2015. 4 Comments on Do you leave your child in the car while you pay for petrol? I don’t do it going into shops, only because there is nowhere around where we live where you can see the car from the shop, otherwise I wouldn’t have a problem with it!